In a recent article in the Italian newspaper La Repubblica (2 January 2011, p.41), food historian Massimo Montanari celebrated the invention of what was originally called the “machine for softening bones.” This happy machine, created by Frenchman Denis Papin, was presented to the world in a book published in London in 1681. The bone digester could also be used for (explained Papin in his book) reducing the time required for cooking foods, thus saving on valuable fuel. Papin’s invention, then, was the precursor of the modern pressure cooker, though Montanari points out that one of the main problems was the regulation of the pressure inside to prevent explosions. Later versions included a pressure release valve. Papin’s digester came to Italy soon after its creation: Montanari tells us that it was popularized by the Venetian Ambrogio Sarotti, and used to make medicinal decoctions and broths by a certain Sangiorgiofrom Milan (prefiguring German chemist Justus von Liebig’s extracts). 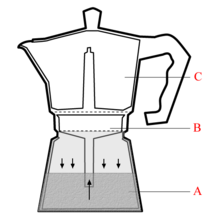 This machine not only provided the basis for the pressure cooker: the autoclave, the steam engine, and even the Italian home coffee maker (called a “Moka”) are children of Papin’s genius.